Each set comes in a large Elizabeth Arden branded-cosmetic bag, and speaking of which this is probably my favourite one to have received through a promotion thanks to its simple, stylish design. But we all know that it's what's inside that counts, right?! In this case, I count six items - and funnily enough, two of which have been nestled in my ever-growing wishlist for a couple of weeks now. Elizabeth Arden Eight Hour Cream All-Over Miracle Oil 30ml - With a summer beauty goal of attaining softer skin on my arms, this All-Over Miracle Oil has really impressed. I'm a huge fan of butters and oils, so the lovely scent combined with lasting moisturising qualities has been ideal. I can't believe it's taken me so long to try - 100% not surprised it has such a great reputation! Elizabeth Arden Prevage Treatment Boosting Cleanser 50ml - Along with the full-sized lipstick, this is one of the most generous inclusions. The multi-action, moisture-rich cleanser 'refines skin's appearance with gentle bamboo microbeads and enzymatic exfoliators'. I've found a little goes a long way and the texture feels surprisingly gentle on my sensitive skin, considering the great job it does! Elizabeth Arden Ceramide Ultra Lipstick (full size) - Swoon. And again, swoon. All of those perspex lipstick organisers I've seen on my fave blogs have clearly made an impression on me. The colour in my gift bag and shown in this post is Rose, a pretty everyday shade that absolutely matches its name. Okay just one more time, swoon. 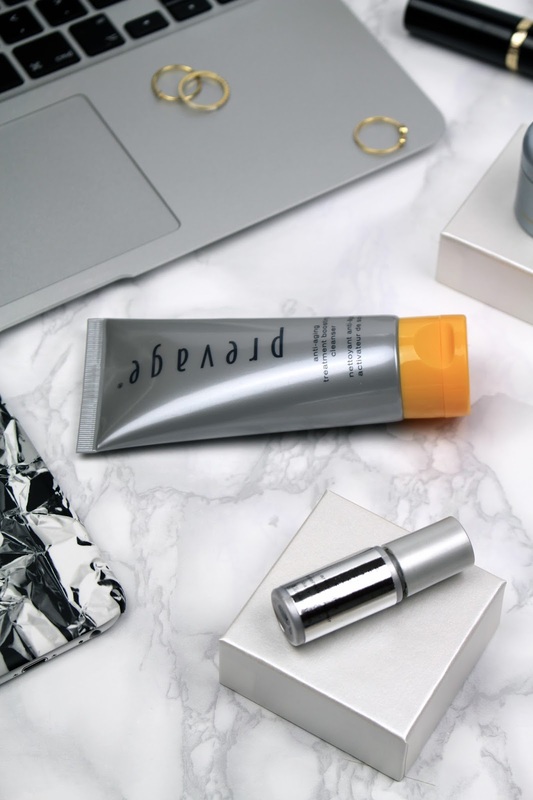 Well, it's a thumbs up from me; a great combination of products are included, and the full-sized Elizabeth Arden Ceramide lipstick makes it all the glossier. Though remember, the offer ends tomorrow! Saturday morning treat, anyone? Great products, the lipstick is such a pretty shade! I often wait for promos to do my beauty shopping because there's nothing I love more than a good GWP. It looks like you got some splendid goodies with a great value. That cosmetic bag is especially impressive. It looks chic and well made, like an item you will get plenty of use from for sure :) Happy weekend Gabrielle! That lipstick is a lovely shade! That's great it's full size too! 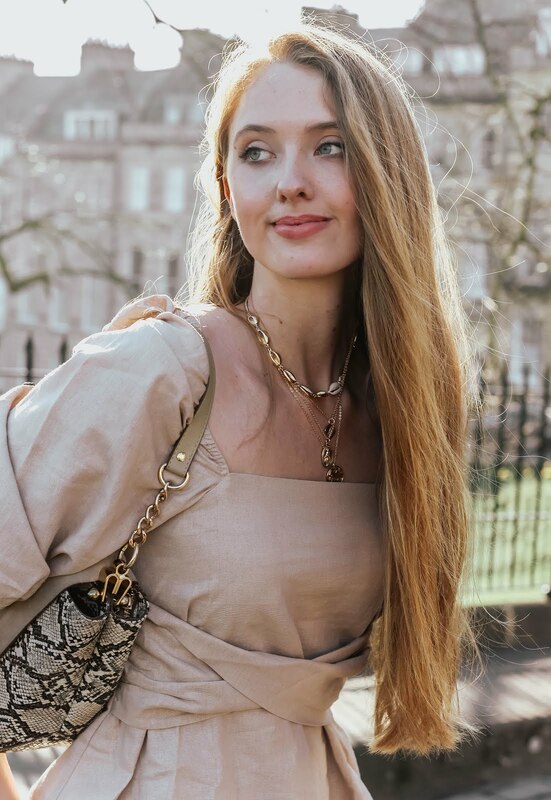 I have just started exploring Elizabeth Arden, and so far I have really enjoyed everything I have tried. A GWP is a great way to explore a little more. I am not one who purchase beauty products for free gifts but OMG, my mum is an addict for free gift sets! LOL! Elizabeth Arden is also another brand that I don't really pay much attention too, I have always felt like it's a little old fashion. I love shopping with rewards. It's like a win-win situation. You get to enjoy great products of your choice plus you get something extra. I love it when beauty products have promotions with free gifts hehe. My mom loves Elizabeth Arden but I have yet to try it! I have never tried any Elizabeth Arden product yet. My cousin is a big fan of this brand. Beautiful products and lovely post. Extra points and vouchers are always great to have.Big yes ! Never heard of this brand before! Sounds like an awesome deal to me! These are some beautifully designed products. I haven't gotten my hands on Elisabeth Arden products yet, but hopefully I'll give them a try soon! And yaay to the free gifts :) I saw your recent blog posts about the South of France - I just camped a bit more south from Bordeaux for two weeks and I looove it! I'm a huge fan of EH beauty products... My Green Tea Honey Body Cream finished yesterday; -(.... 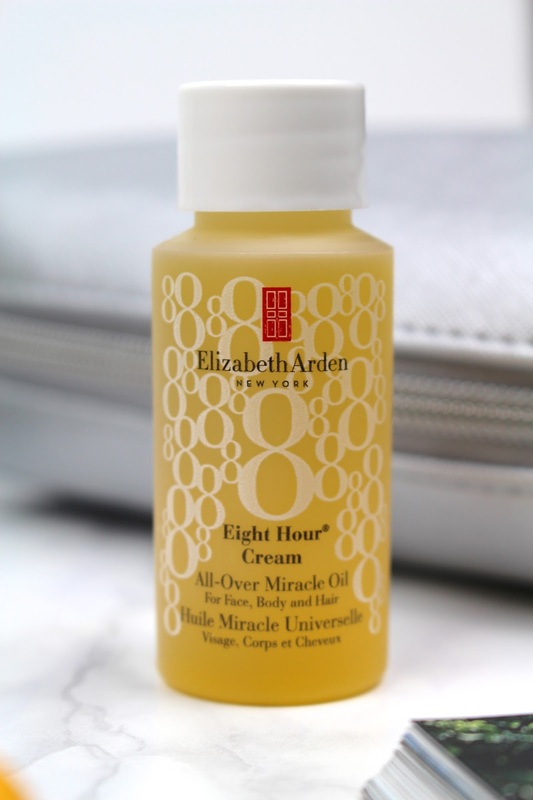 So I will definitely buy the Elizabeth Arden Eight Hour Cream All Over Miracle Oil. Will give you my feedback, Gaby. Love that lipstick shade! I've never tried out any Elizabeth Arden products, but it sounds like you got some great ones. Free gifts are always a bonus, especially when you're already planning on making a purchase. Rewards are always the best, and these products look lovely! Saturday morning treat indeed! That eight hour Elizabeth Arden cream seems amazing...and that lipstick is so beautiful, such a great shade. All of these products seem pretty cool. Lovely presentation and reviews! The products seem so nice and the pictures you took are wonderful. I love shopping for beauty products and getting little rewards is so cool. I'm such a sucker for gifts with purchase!! Love that shade of lip colour and that its full sized too! Bonus that it comes with eye cream too! I haven't tried Elizabeth Arden personally but the sister line Aerin has really great perfumes! Yes, I definitely agree, gifts with purchase are the best! elizabeth arden is a fab brand all these look great! I'm a sucker for promotions. That lipstick is my fave item from all you listed. I adore the shade. Great post, I love the photos. Admittedly, I actually only own the 8 hour cream which oh my, has SO many fantastic uses! This is definitely a really great promotion although I think I've missed it - damnit! These are really great products! Thanks for sharing this awesome review! I used to have a load of EA perfumes - Sun, Moon and Stars and 5th Avenue being my faves, however I never did try their cosmetics or cremes. Plus is seems I have missed the promotion now anyways. I think I will try and sample a few of the products you have reviewed the next time I am in a department store! I absolutely MUST try the Miracle Oil, my summer skin desperately needs it! Love this line! Everything is always top notch and luxurious! I use and love one of their moisturizers. And the lipstick color is stunning! Great post. I definitely love collecting my rewards from my skincare brand haha & I should after the amount of money I spend there haha Looks like you have some great products here. What amazing products, I have heard so many good things about them! Gorgeous photos, Gab!! !Love your blog!Thanks for sharing! Great post! Loving these products!! Especially the lipstick. Ooh I'm such a huge Elizabeth Arden fan, her skincare is insanely good, especially the prevage range. Definitely need to check out this promotion. Gorgeous pics too lovely! OMG, this is amazing :o I really would like to try this brand! I have their 8 Hour cream and it's such a classic! awesome pictures, that lipstick looks amazing ! Lucky you! I love this brand. Love the shade of that lipstick. These products sound amazing!! I love checking out new anti-aging eye/face creams! Those are the most gorgeous lipstick colors! AMAZZZZING! Love your photography babe!